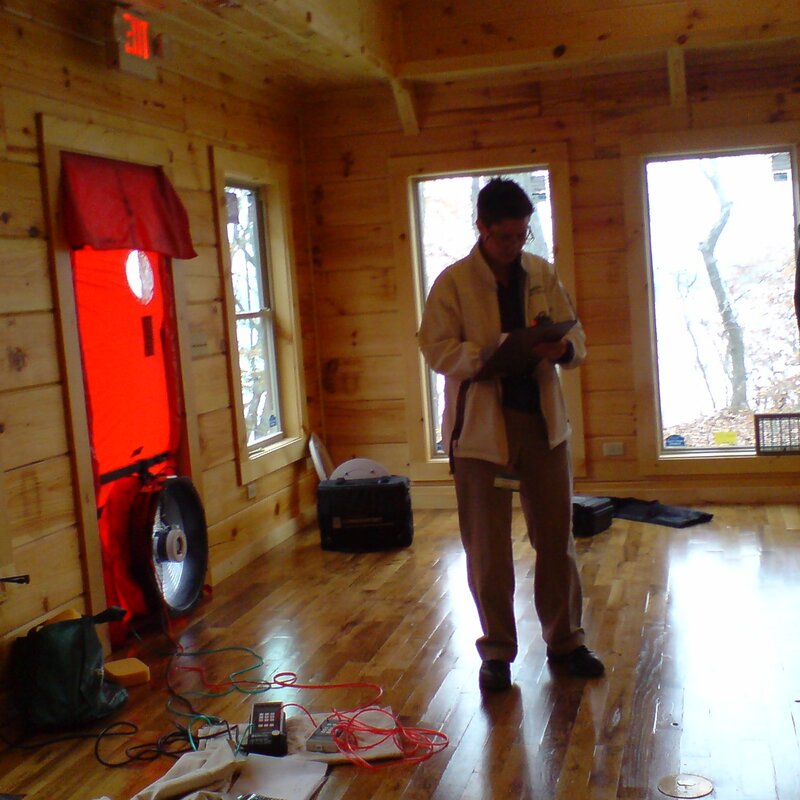 A modular log building was constructed for use as a conference center. The manufacturer hired Green River to help them improve their already good energy efficiency standards in their building process. 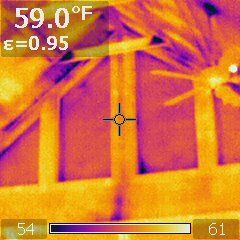 A blower door test was used along with thermal imaging camera to test how air-tight this typical cabin had been built. 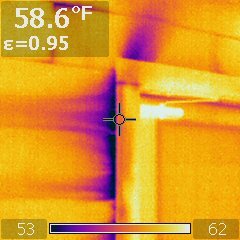 The blower door draws in air from leaky places, and the infrared camera picks up the colder outside air as a different color. Opportunities to improve caulking around wall top plates, trim, windows, and beams were discovered. 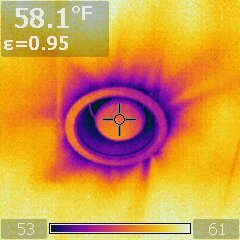 Air intrusion around recessed lighting is a common issue. 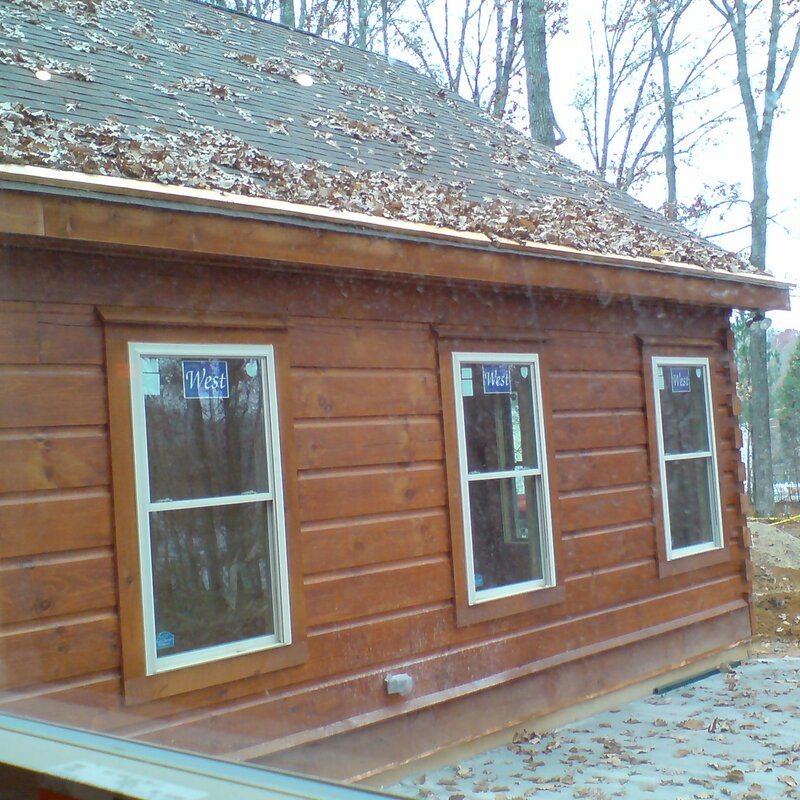 The log home manufacturer changed their materials purchasing to use air-tight fixtures after seeing the problem. 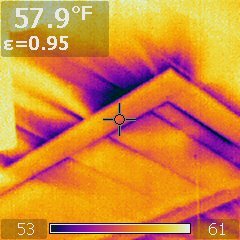 This attic access hatch was allowing a lot of air intrusion. 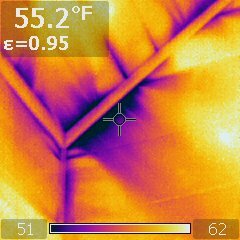 The log home company added weather-stripping to their process to remedy this problem. The method was changed so that the doors were sealed around the rough openings with special window and door spray foam on future cabins to prevent air leaks. 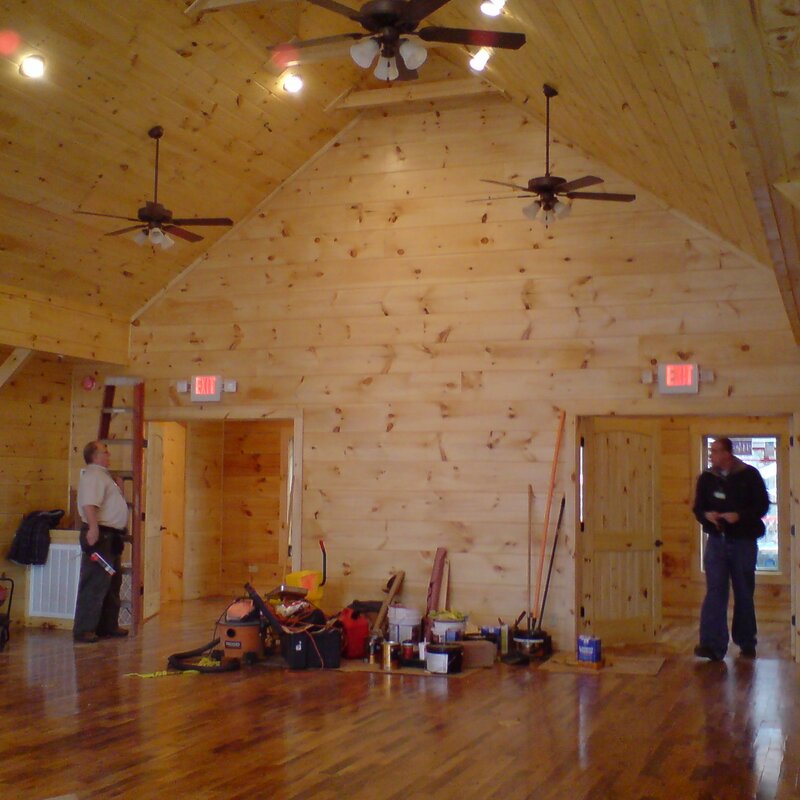 As a result of Green River LLC consulting with this manufacturer, they now produce highly energy-efficient log homes that are shipped all over America, and that receive good scores on their HERS Ratings.